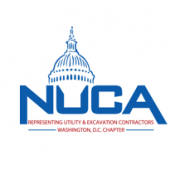 NUCA OF DC Annual Partner JESCO will introduce it’s new Waldorf, Maryland location with an Open House on Friday, October 12 – 8 am to 5 pm. The purpose of this memorandum is to announce that Government of the District of Columbia is launching a new vendor portal for electronic invoicing. This project will be implemented in phased manner across all District agencies. The objective of the e-Invoicing module is to standardize invoice processing throughout the District and improve the payment process for vendors and contractors doing business with the District Government. Please click on the link to view DC vendor portal implementation timeline for agencies. Vendors receiving new purchase orders from agencies that implemented e-invoicing (refer the timeline above) must submit invoices electronically through the vendor portal https://vendorportal.dc.gov). Vendors are required to register on the vendor portal prior to submitting an invoice.